TAMPA, Fla. – IRONMAN, a Wanda Sports Holdings Company, today announced a new race to be held in Traverse City, Michigan next summer. The brand-new IRONMAN 70.3 Traverse City triathlon is scheduled to take place on August 25, 2019 with general registration opening on September 25, 2018. Traverse City will become only the second city in Michigan to host an IRONMAN 70.3 event behind IRONMAN 70.3 Steelhead taking place in Benton Harbor. Traverse City is a year-round destination on the northwest coast of Michigan’s Lower Peninsula known for its diverse cultural and recreational opportunities. Located on the Great Lakes shore of Lake Michigan, the glacier-carved landscape hones countless trail systems, beaches, inland lakes and nature preserves. Integrated throughout the pristine land are over 40 wineries and tasting rooms, 20 microbreweries, taprooms and distilleries, as well as a vibrant downtown of creative shops and acclaimed eateries featuring locally-grown fare. The region, responsible for half the country’s tart cherry production, is officially crowned the Cherry Capital of the World and celebrates its famed fruit every July at the National Cherry Festival. General registration for IRONMAN 70.3 Traverse City will open on September 25, 2018 at www.ironman.com/traversecity70.3. 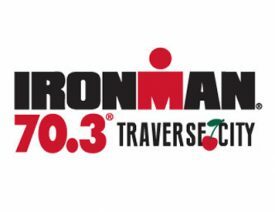 Athlete inquiries may be directed to traversecity70.3@ironman.com.